ATVs are also quite a hit among the private citizens and many celebrities including Bollywood celebrities have tried their hands on them. 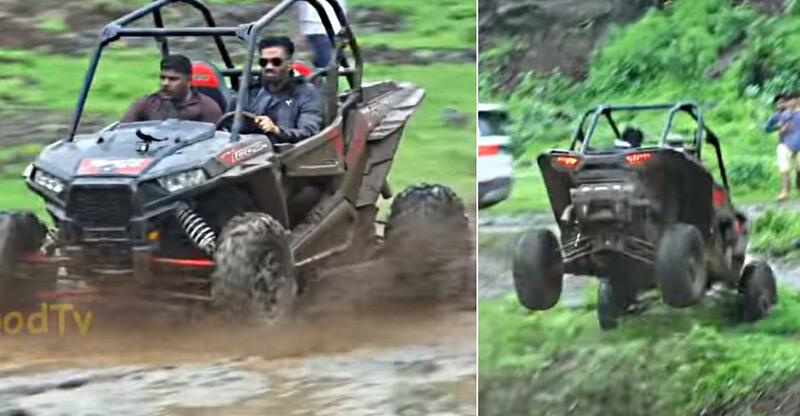 Here is a recent video of movie star Sunil Shetty who has been spotted having a great fun in a Polaris RZR 1000. The footage seen here is from an event organised by the official Polaris in India. Sunil Shetty has been seen in a 4X4 Polaris RZR 1000, which is the top of the line ATV in their line-up in India. The video shows how Sunil Shetty takes it around the track. At first, he gets familiar with the new machine around the specially made track. He then speeds up and jumps through an obstacle. Sunil Shetty was later seen doing power slides in the ATV too. He can be later seen saying that he felt very young doing what he did and it is an insane machine. Interestingly, Sunil Shetty was sitting with a person during his time around the track who looks like from the Polaris team. The person sitting had got his seat belt strapped while Sunil Shetty can be seen sitting without the seatbelt. While it is not illegal to not wear a seat belt here because it is a private track, it is highly dangerous. The Polaris RZR 1000 seen here did some fun stuff and if it goes little out of control, it can turn upside down. Even though there is a roll cage that protects the occupants but they would not be very effective unless the people wear seat belts. Such belts and helmet are a must while doing such an off-roading. In real life, Sunil Shetty owns a few exotics including a Hummer H2, which says much about his interest in automobiles. All Terrain Vehicles or ATVs are not very popular in India but slowly they are picking up the pace in the market. Polaris, one of the largest ATV manufacturers in the world has a big Indian presence and offers quite a few models in the Indian market. They are even used by the cops of a few states to reach difficult and challenging terrains for patrolling. Polaris RZR is not a road legal vehicle. It is a left-hand-drive ATV that has not been tested by ARAI for road usage, which makes it illegal for registration for the road use. However, these ATVs are used widely by beach police and the forces who have to patrol through thick forests. 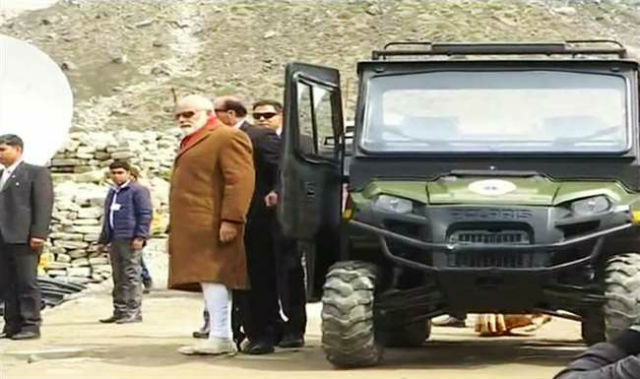 Even prime minister Narendra Modi got a ride on a Polaris ATV during his visit to Kedarnath. The RZR 1000 is priced at Rs. 14 lakhs in India and is imported as Completely Built Units (CBU).